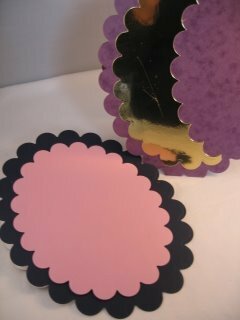 These Free Standing Cards will make your creations take centre stage and you can dress it any way you wish. 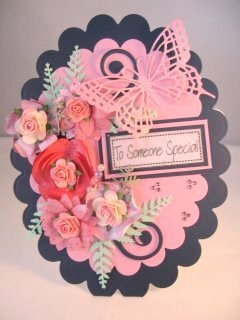 This beautiful card would grace anyones mantlepiece and be sure to get some compliments in the process. It can be any size or shape that you wish to make, the only thing you need to be sure of is that you have two to match. 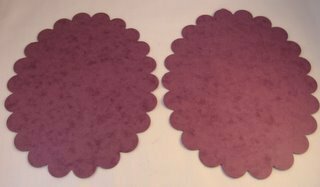 From the same colour and texture card I have cut two scalloped ovals that are the same size. Take one of the cards and score and crease it about a third of the way down. 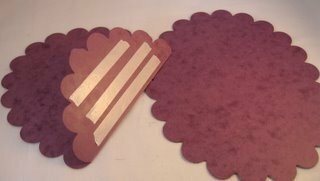 I have added a strong double sided tape to the top third but a wet glue will give a stronger bond. This glued area is the bit that will go inside the card. 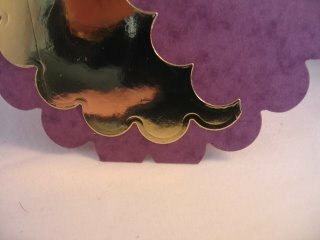 Line the two pieces up at the bottom edge and then press the glued part in to the inside of the card, and it should look like the photo when you have done so. So now when you stand it up it will look like this. Hence the name ....Free Standing Cards. This will be your base card and it is now ready for any decoration you want. And you can add whatever embellishments you have in your stash. Use the smaller dies in the set to mat and layer. Ink the edges to give definition or use a specialised card for a luxurious effect. 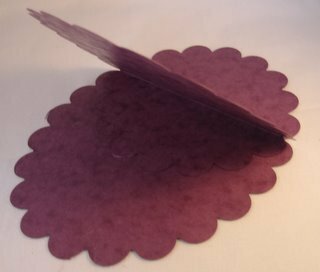 And if you make yours from a circle or oval and you find that it won't stand, then just trim a small amount from the bottom of the card. 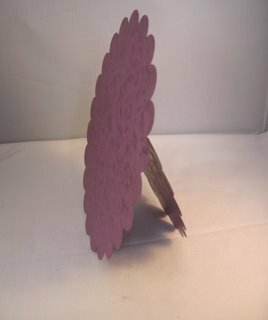 Only a shaving from the back of the card will do but it means the card will stand straight. Squares and oblongs don't have the same problem. I am not a ... "less is more" ...kind of girl and on both of these cards I have gone to town. Definitely a more is more approach. But because of the height in the card and the size of it it won't fit a standard sized envelope. 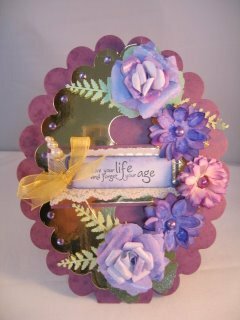 But that is a small price to pay for such a pretty card ... just make your very own Special Card Box. So now you need to play and see what you can produce the next time you have a special card to make.